This is something the Japanese ladies have known for centuries – the surprisingly skin healing benefits of rice! Rice is a rich source of linoleic acids and squalene, a powerful antioxidant that promotes the collagen production in the skin. It is a substance that keeps skin from wrinkling. In addition, squalene protects the skin from sun damage. Large amount of vitamin E and gamma oryznol are present in rice as well, which protects heart health and lowers cholesterol. Rice has astonishing effects in skin rejuvenation and not many people know this, except from the Japanese. After you boil the rice, strain it and put aside the water in which the rice boiled. 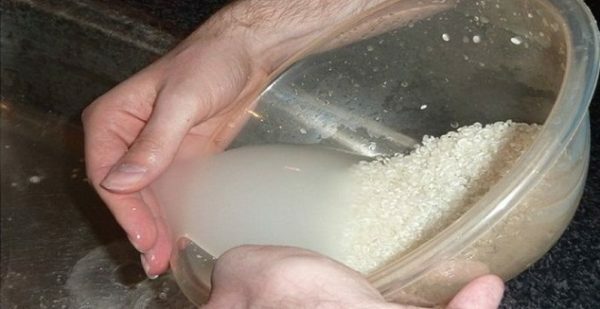 Add a spoon of heated milk in the rice and mix them. After you stir the mixture well, add honey to it. Apply the mask on clean, dry skin and let it dry for 10 to 15 minutes. Afterwards, take off the mask and wash your face with water in which the rice boiled. Do this once a week and you’ll feel the benefits even after the first time. If you keep on doing this procedure of face nurturing, you’ll look ten years younger in no time.